FC Barcelona's run of 29 games unbeaten came to an end in their Copa del Rey fixture against Espanyol. The 1-0 defeat at the RCDE Stadium concluded a five-month spell without defeat for Ernesto Valverde's men, who remain LaLiga leaders, have a spot in the knockout stages of the Champions League and will get the opportunity to avenge the Copa del Rey first leg loss next Thursday at the Camp Nou. The only unbeaten side in the main European leagues: Barça have yet to lose a game in LaLiga this season, and have a record of 16 wins and 3 draws from the first half of the campaign. Undisputed leaders: The team have 51 points from a possible 57 at this stage of the season. It is the third best opening half to a season in LaLiga history. They hold a 9-point lead over nearest rivals Atletico Madrid, are 11 clear of Valencia and have 19 more points than Real Madrid -who have a game in hand. Through to the knockout stages of the Champions League: FC Barcelona have shown their strength in Europe as well as domestically. In their six Champions League group stage games, they took four wins and two draws, topping their group for the eleventh consecutive year. . The Messi-Jordi Alba connection: The unbeaten run featured various protagonists, but one of the most prominent were the duo of Leo Messi and Jordi Alba. 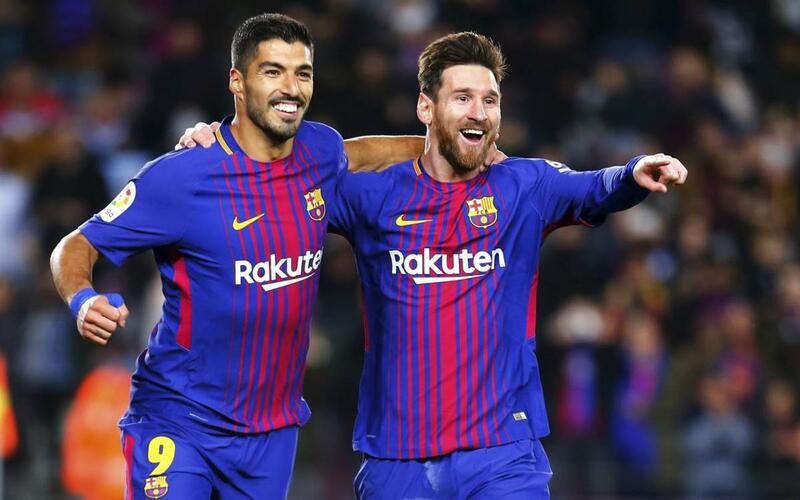 Their connection led to nine goals, with seven assists from Alba for Messi, and two from Messi for Alba. The pair are the team's top assist providers, with ten and eight, respectively. Messi's goalscoring exploits: The Argentinian superstar scored 22 goals during the unbeaten run, 17 of which came in LaLiga. Luis Suárez is the second top marksman overall with his 17 goals in all competitions. Solid defending: At the back, both Ter Stegen and Jesper Cillessen have been in superb form. The former has conceded just seven goals in 19 LaLiga games, fewer than any other shot-stopper. Cilessen, meanwhile, has shipped just two goals in his five appearances.